Winter at Tall Timber is a magical season. There is nothing quite like arriving in the dark on a Friday and waking up on a Saturday with a fresh cup of Cafe Mela coffee in your hand to see the majesty of the natural sanctuary surrounding this little meadow where the peaks shoot up to the sky 5000 feet from the valley floor, 360 degrees around you as you drink it all in. Guest groups come from all over the state to experience the cascade wilderness in up to 12 feet of snow. 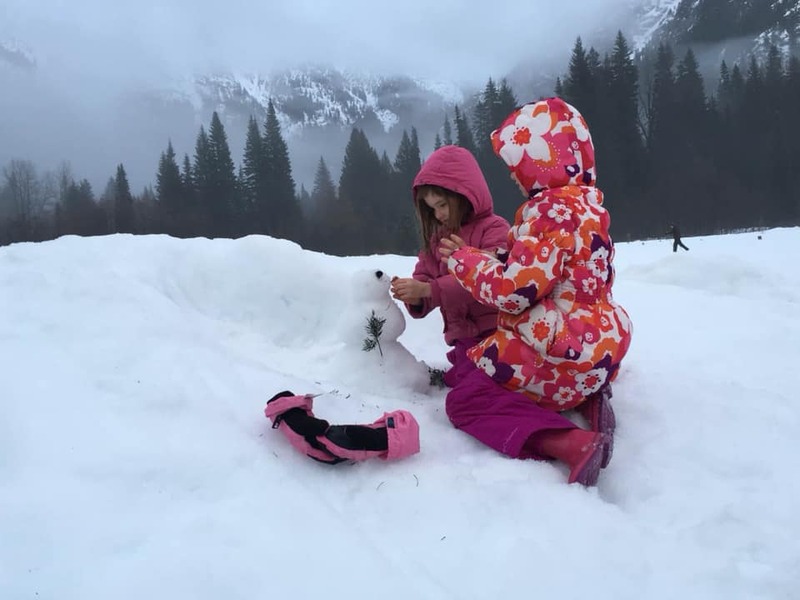 Cross country skiing, sledding, snowshoes, build a snow cave, or a snow creature — and warm fires in the lodge where you can read, play a board game, work a puzzle or reconnect with someone — these things fill our days, there is something for everyone.